The educational objectives of the Morris Pratt Institute are twofold. The first objective is the opportunity for each individual to advance or further their spiritual education and understanding. The second objective is to provide a comprehensive course as preparation for those wishing to achieve certification in the Spiritual Ministry through various organizations. Love of Spirit Spiritualist Church, NSAC is a teaching church. Pastor Bonnie is a credentialed ordained Spiritualist minister who can walk with you through your path of spiritual discovery. Areas of instruction include Certified Medium, Commissioned Healers, National Spiritualist Teacher, Licentiate Minister and Ordained Minister. You don’t have to go it alone. Love of Spirit helps you though the challenging times of study and celebrates your achievements. Follow this link to learn more about Morris Pratt Institute. 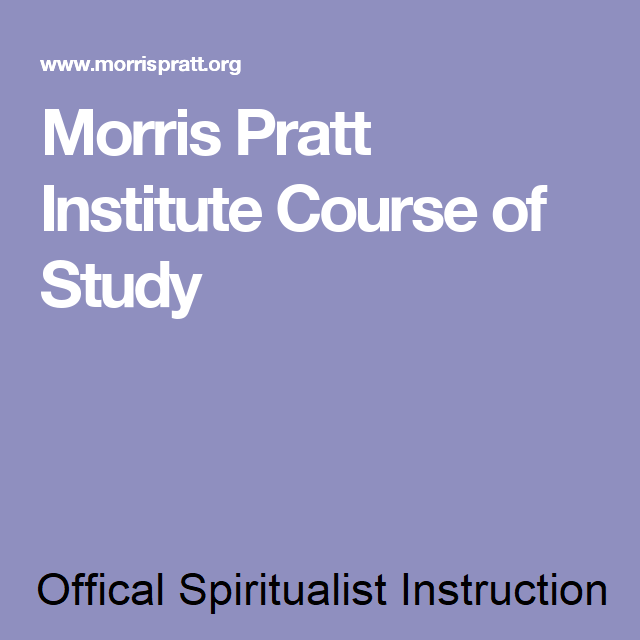 To discuss your interest in the Morris Pratt courses, you may contact Pastor Bonnie at info@yourloveofspirit.com.